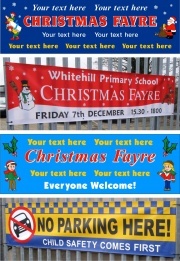 NEW Premium 500gsm Banner Material ! 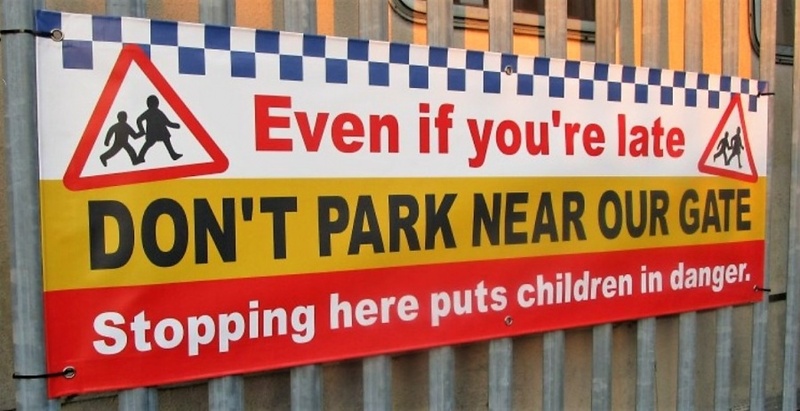 Printed in full colour using UV based fade proof scratch resistant inks our School No Parking Banners and School Safety Banners are available printed on a Premium 500gsm Banner Material. 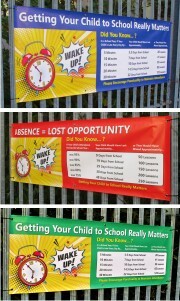 Our range of PVC School Safety Banners are suitable for either internal or external use. 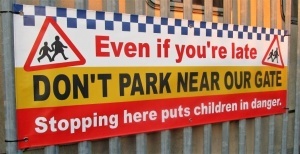 Our printed pvc banners are waterproof and feature reinforced, folded hems which are then welded and have eyelets fitted. 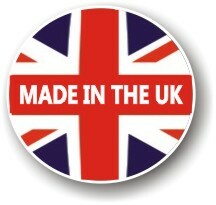 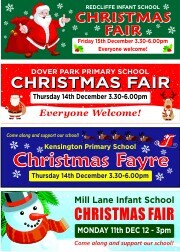 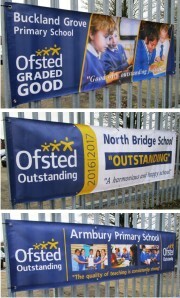 Available in a range of standard designs and sizes these banners are designed for maximum impact.